When Nancy is surfing on a secluded beach, she finds herself on the feeding ground of a great white shark. Though she is stranded only 200 yards from shore, survival proves to be the ultimate test of wills, requiring all of Nancy's ingenuity, resourcefulness, and fortitude. 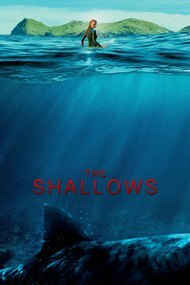 [img] Plot Summary:A mere 200 yards from shore, surfer Nancy is attacked by a great white shark, with her short journey to safety becoming the ultimate contest of wills.